Netflix and Disney struck a deal yesterday which will allow Netflix subscribers to enjoy content from Walt Disney Animation Studios, Marvel Studios, Pixar Animation Studios and DisneyNature. Unfortunately, the bulk of the Netflix-Disney deal won't take effect until 2016 but Netflix says upcoming, "high-profile" direct-to-video releases will begin showing up on its site as soon as next year. Netflix will also be the exclusive U.S. subscription television service to offer Disney's first-run, live-action and animated films, according to the press release. The arrangement is described as "multi-year", but no precise length of time is given -- or many other details, for that matter. Despite the absence of those finer details, most investors seemed positively pleased with the news. 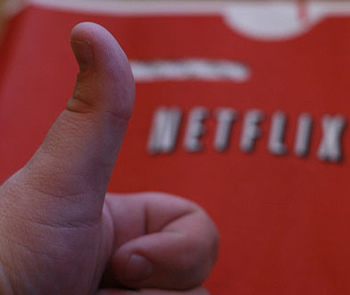 Netflix shares rose 14 percent on Tuesday. Some Netflix subscribers may remember a time when many top-shelf Disney, Marvel and Pixar films were available on the site. That phenomenon was actually thanks to the company's longstanding deal with Starz. Unfortunately for subscribers, their partnership flickered into the luminiferous aether once Starz began focusing on StarzPlay -- its own streaming service. Disney is currently locked into an exclusive content deal with Starz -- the reason Netflix fans will have to wait until 2016 for a-list Disney titles. Ironically, Netflix outbid Starz when it came time to renew its Disney content deal and starting in 2016, Netflix will have exclusive access to stream Disney properties. The Starz-Disney deal lasted for about 4 years -- perhaps the Netflix-Disney agreement will last a similar amount of time. This Netflix-Disney deal is a bit of a milestone for the streaming company. It marks the first time Netflix has had a direct deal with one of the six major Hollywood studios, possibly inspiring hopes for future deals with the likes of Sony, Paramount and Warner Brothers. So far though, the company has managed a number of arrangements with well-known albeit smaller movie studios like Dreamworks and Relativity Media.